Raphael International's hair salon features hair stying for both day and evening occassions and even do advance Runway Models, Fashion industry fantasy and Movie star hair styling. This comprehensive collection of advanced and casual hair styles is designed to inspire professional hair dressers and salon owners in the art of cosmetology. imagination, hair magic, and International award winning talents of Raphael . Exciting new styles and directions.. in our redesigned -expanded web site. Raphael International is taking you into the 21st century and future of hair creations... Take a look & discover a new you from these pages! Fantasy styles for a dramatic look..
Evening Avant Garde' Styles for parties & weddings and formal gatherings. "After Five elegance for special nights out for Movie & music stare and runway models! Blending Fashion-Styling and Art into "Show stoppers" that put you on the modeling "Runway" . Basket Weaving and fantasy hair braiding. Step by step instructional video tapes on creating "Fantasy -After5 - Basket "Weaving" hair pieces and formal Hair Styles for beginner and advanced hair styling students. These show Raphael in action doing advanced styling techniques that have won him worldwide acclaim. Take a guided tour of our site. 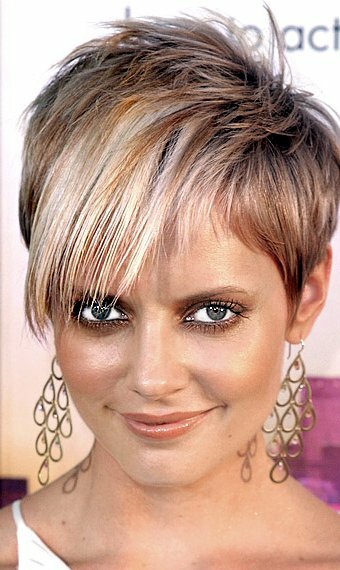 Let our Award Winning Stylists give you a Cut & Style prized by real Movie stars. Fantasy and Runway model or Bridal hair styles require the talents of the stylists working at Raphael International Salon & Spa. 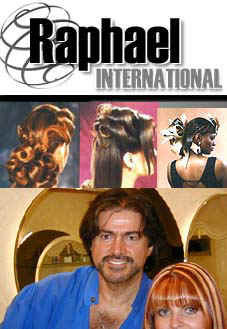 Salon owner Raphael has won hair stylist awards worldwide over the last 30 years. Take a guided tour of our site..